Small businesses in particular can benefit a lot from managed IT services by Evolution Networks. We dedicate ourselves to keeping your business operating as efficiently as possible, all while ensuring your networks and technology are in proper working order. We can monitor your networks to make sure that they are operating properly at any given time, as well as take steps to resolve issues before they become major problems. Furthermore, we can keep a lookout for security issues that need to be addressed, including patches that need to be applied and vulnerabilities that need to be shored up. Ultimately, this preventative maintenance and management leads to less downtime and fewer security issues, leading to more productivity and profit for your organization. 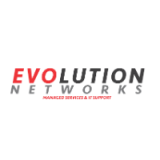 What we deal in at Evolution Networks is value--as in, your business saves money while still receiving the useful services that your business deserves. Between eliminating unnecessary steps through automation and making more opportunities for productivity for your staff, you’ll find yourself going above and beyond the initial anticipated return on investment for your managed IT services. You get the peace of mind that comes from knowing your technology is in good hands, and we get the privilege of helping your small business in any way we can--value for us in and of itself! It can be difficult to make decisions regarding technology, especially if you’re not particularly astute in what’s good and bad for business purposes. One of the many benefits that come from managed IT services is that you can call upon our many years of IT expertise to aid in making decisions. You also take advantage of the many connections we have to reputable vendors in the area, making sure to invest only in the best and brightest providers around. Furthermore, we can continue to provide support and patching for your business’ critical applications. By doing so, we make it much more difficult for your organization to be targeted by potential threats. You can instead focus on doing business the way it is meant to be done rather than worrying about whether or not you’re exposing your business to online threats. For more help with your IT services, reach out to Evolution Networks at 954-866-1600.